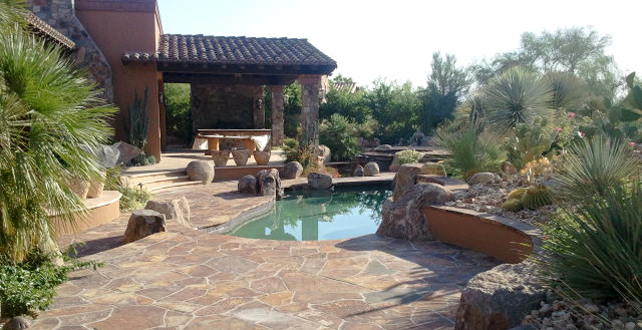 Whether new construction, or remodeling, Dunn's Desert Landscape and Pools would like to help you through the process. Dunn's has serviced cities in the Coachella Valley in landscape construction for the past twenty years, and ten years in water feature and pool construction. We offer an experienced and personal approach to landscape and pool construction to create an outdoor experience that is uniquely yours.